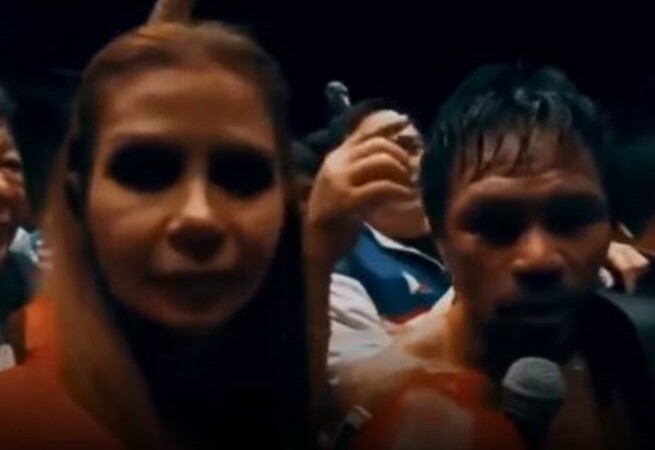 ABS-CBN reporter Dyan Castillejo was lambasted by netizens after addressing President Rodrigo Duterte as “your president” while interviewing fighting senator and the new WBA Welterweight Champion Manny Pacquiao after his fight against Lucas Matthysse. Dyan asked Manny to give his message to the Filipino fans and President Duterte who watched his game live for the first time. WATCH: Can you lip-read what Ellen Adarna is trying to say?